During the distillation process of ethanol from crops such as corn, sorghum or barley, DDG – Dried Distiller’s Grains – are produced as cereal byproducts. 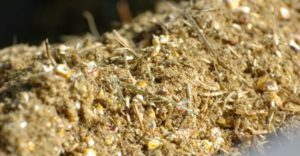 They are mainly used as fuel sources, animal/livestock feed, pet food or fishing bait. Moisture content is an essential aspect when conditioning feeds. When conditioning the most common target moisture contents at conditioner discharge is between 15-17%. Too much moisture can plug the pellet mill. It is suggested that pellets need to achieve final moisture content below 13% in order to be safe for storage. 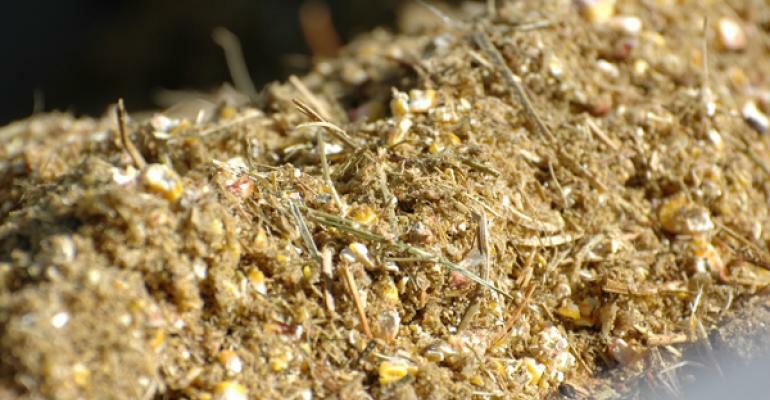 Proper conditioning prior to pelleting has several potential benefits, including increased pellet durability index, increased starch gelatinization and protein structures, which improves the binding of the ingredients, potential pasteurization, and the destruction of some insect eggs. With the help of industry partners and 40 years of knowledge, MoistTech has developed the IR3000 Moisture Sensor which is ideally suited to measure the moisture levels in the DDG production processes while improving manufactures product quality and lowering their energy costs. Unlike other instrumentation of this type, some of the unique features of the IR3000 is that it can monitor the product even with small gaps in product flow and is unaffected by ambient light without impacting the accuracy. Insensitive to material variations such as particle size, material height & color, our moisture sensors provide continuous, reliable readings with zero maintenance and a one-time calibration with a non-drift optical design allowing operational personnel to confidently make immediate process adjustments based on real-time measurements. Typical accuracy is about ±0.1% moisture. Typical analog range is 0-10% moisture and up to as much as 40%, subject to application. The outputs can be adjusted to optimize PLC or recording requirements. The durable IR-3000 moisture sensor can be installed at conveyors, in down chutes, or in storage bins. The sensor should be positioned directly over the product for continual automatic readings or instantaneous manual readings. It is delivered pre-calibrated for your specific application. For installation instructions, including the use of the option base and stand, please consult the IR-3000’s complete installation instructions. Use the moisture content information provided by the IR-3000 to control overall product quality, in real time, during production. We would be happy to discuss how the IR-3000 will benefit your application. To learn how MoistTech’s IR-3000 NIR online moisture sensor can help you save money in the processing of and improving the quality of your crushed limestone, contact us today!